Fruity filled raspberries. 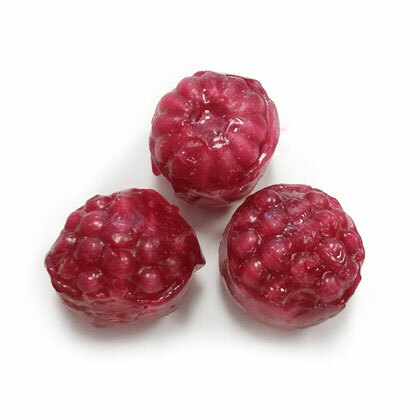 Raspberry flavored hard candies with a soft center. Unwrapped. Gluten-free. Kosher. Approx. 5 pieces per ounce. 12 oz bag. The order arrived quickly and the candy was what we expected. It's very similar to a major brand of raspberry filled candy that's only available in stores around the holidays. The owners of Pearls Candy & Nuts were so kind when I called. They responded so quickly to my questions and I received my order right away. I will not hesitate to order from them again. Have been looking for these forever. Sooo hard to find in my area. They tasted just like I remembered. And naturally I ate them to fast so now I need to order more. Thanks to you for having them. My late aunt used to give me these for Christmas every year in the 1960s. So happy to find them again. They taste just as I remember. Delicious filling!